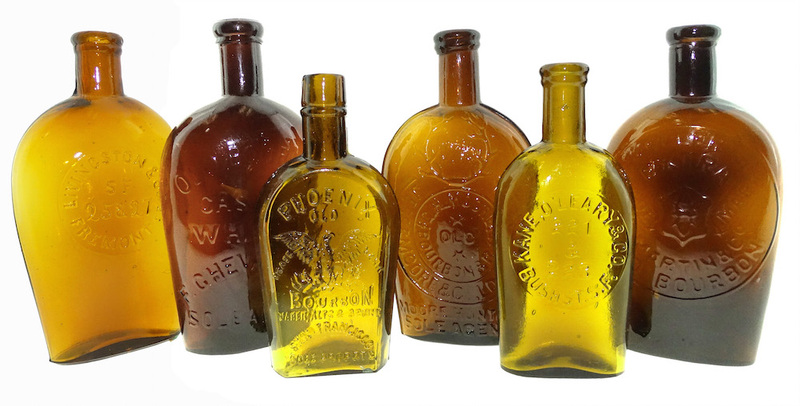 As the years march on and we look back 50 years or so at antique bottle collecting, there were a lot of people that began the hobby with wonder and astonishment at the time, the Heineman father and son team were certainly part of that era. 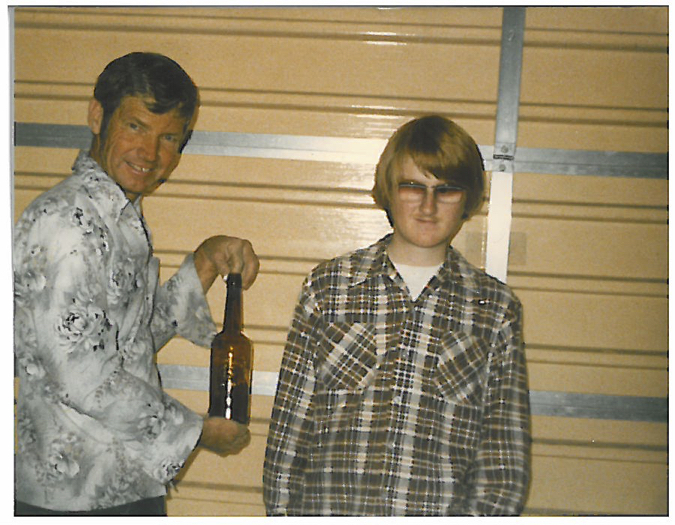 Darrell and his son Bret were two characters who reacted so strongly to the outpouring of love for the hobby, it not only made them appreciate the bottles they collected and dug, but it also created a bond between them that lasts up until today. American Bottle Auctions will be auctioning part of their collection of western fifths and flasks November 6th. 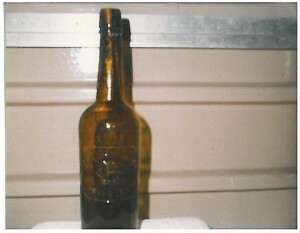 Some of the bottles offered they dug, others they traded or purchased outright. 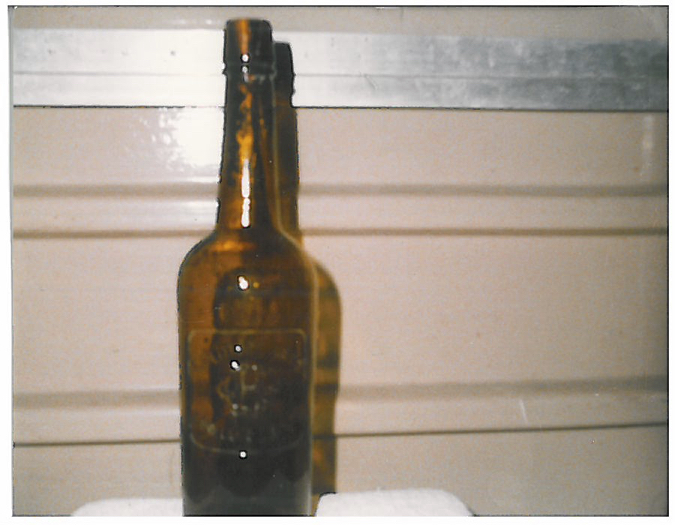 If you went to a bottle show in the 70’s through the 90’s, you probably saw the two firmly etched into the bottle scene of the time, attending shows that no longer even exist. Starting to dig in the 1970’s, their first show was in San Mateo in 1978. Bret explains, “it was the same weekend as the Las Vegas show and nobody really checked to see that it was the same weekend,” he explains. The San Mateo show may not still exist anymore but at one time it was one of the must-shows to hit. The father and son teams dealt with all the major players of the time, John Thomas, Richard Siri, Don Mullaly, Bob Barnett, Tom Quinn and plenty of others. 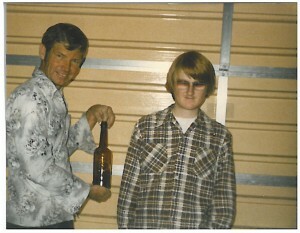 Bret was in his early 20’s when his father encouraged him to join him and it didn’t take a lot of coercing to get Bret to hit the trail after antique bottles. 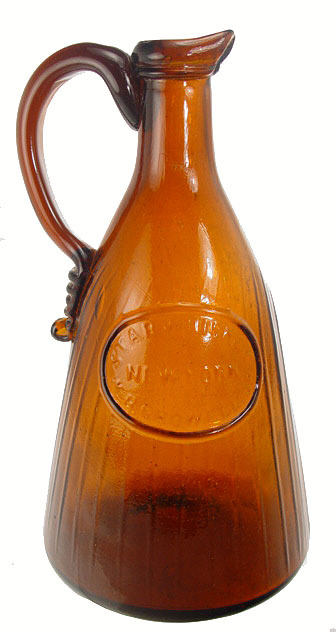 “We dug a lot in the area where we lived,” Atascadero, California, “and we found a lot of bottles from that area. Together and sometimes with their cousin Lloyd they ventured into Arizona and even further east, but their part of the Golden State was where they most often dug. “We found a Cerribelli soda I remember,” Bret says, a lot of items from the Santa Barbara area. One of their biggest find if not the biggest was finding a Gold Tree Bros. western fifth from San Luis Obispo. Even today there are probably less than six known and it’s commonly known as one of the top slug plate western fifths. Bret remembers John Thomas coming up with one, “John went into a antique store in the area and bought one, we knew about hearing about it and others knew about it but John was the one who got it,” Bret says with some tidings of fondness for who is now considered the father of western whiskey collecting. 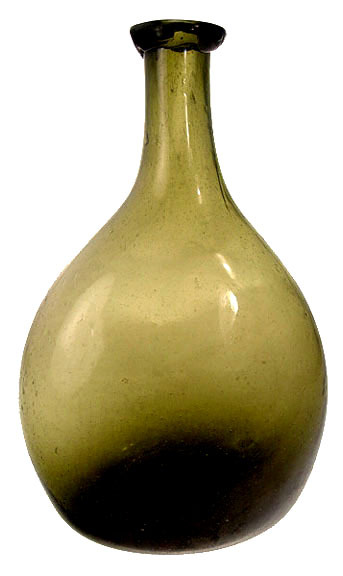 Of course the example they still own is one of the best examples ever found and it resides safely in their home, along with other bottles the father and son team found together. They include a Bennett’s Wild Cherry Stomach Bitters, a blue Trade Mark Lightning, Old Judge glob, Thomas Taylor glob, Pioneer Bear, Bear Grass Whiskey and a bluish San Jose soda which ABA will include in their auction. The Heineman’s tried metal detectors back in the mid-70’s, “but we seemed to have better luck with the bottle,” Bret says. “I’m not sure if this was just luck or the technology of the metal deters at the time or both,” he says. “Of course the bicentennial celebration in 1976 was all part of that and encouraged more historical thoughts,” Bret remembers. The Heineman’s together dug pretty steadily beginning in the mid 70’s for the next thirty years. Bret’s mother, Jeraldine was also a collector of different things, as Bret remembers. “My father and I were strongly attracted to whiskey bottles, and we found some but as Thomas says, a digger is lucky to find even one in their entire life.” So Bret and Darrell did what most others did back then and that was horse trading. 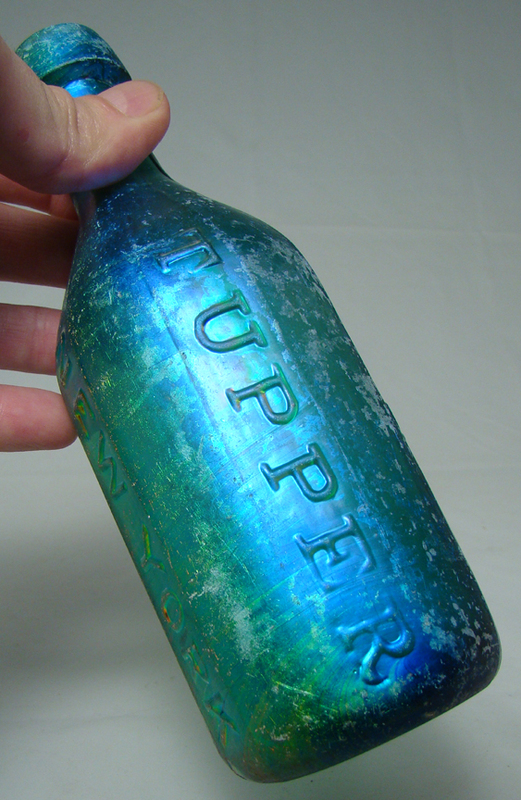 In the 1970’s bottles weren’t as valuable as they as they are today so collectors got what they get find, by digging, trading or buying. 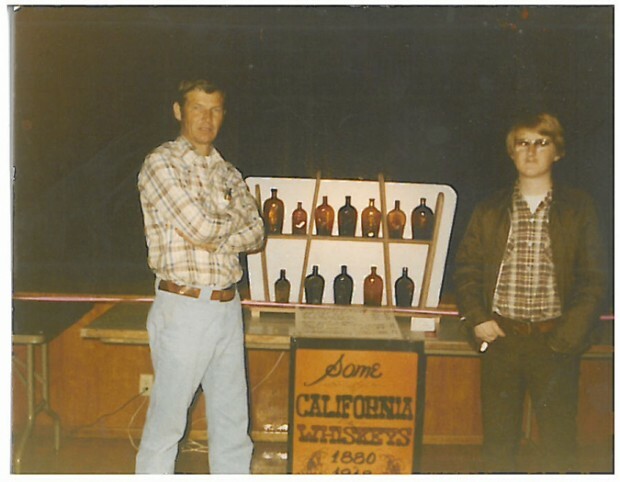 So American Bottle Auctions will be excited to be able to offer much of what the Heineman father and son team were able to amass over the years. The flasks are as much a part of the collection as the fifths. Auction 62 starts November 6th and ends on November 15th. Simply send us an email to make sure you get updates and go on our website to register for the auction if you haven’t already. 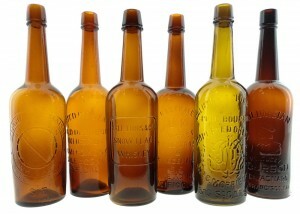 Many of these bottles have not been seen by other collectors for a number of decades. It’s what we call fresh to the market. Talked with Bret years ago when I used to do Morro Bay. 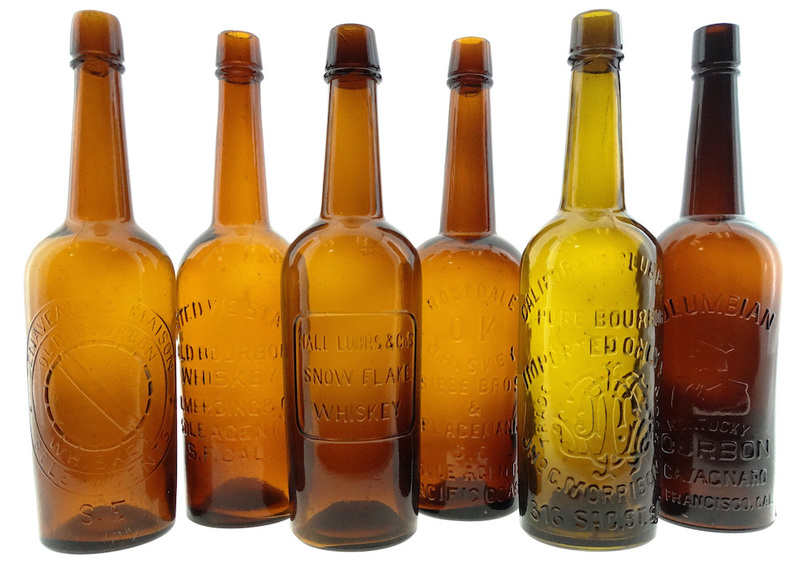 So great to hear of such an important old time collection being intact and coming soon to your auction. Ill have to win some since my bday is the next day after the sale! 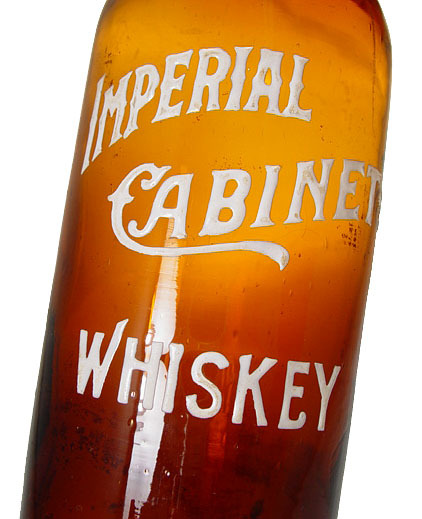 I want to sell whiskey bottles and the value of them.